There’s been a lot of talk in the media recently about rogue landlords and how they house their tenants in appalling conditions, and landlords “raking in the money” for doing next to nothing. What we rarely hear about these days is the other side of the coin: the tenants that cause landlords sleepless nights, lots of stress and worry and a big hole in their pocket. Liverpool landlord Steve Parry, 55, a surveyor, had invested in two rental properties in his home town, hoping the two would rent out to provide him with a comfortable income for his retirement, as he told the Liverpool Echo he does not have a big workplace pension. But Parry claims he has ‘not made a bean’ after ‘the living nightmare’ he has gone through with this tenant family. 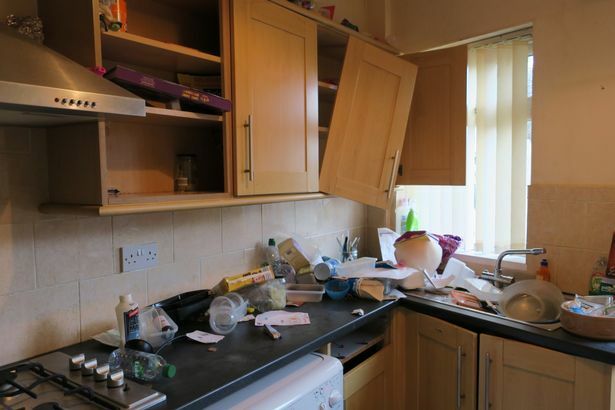 The shocking photos at his Wavertree property, published in the paper, show just what a trail of destruction was left behind by his “tenant from hell” – a wrecked kitchen, flooded bathroom and bags of dog mess left around. The pictures show internal doors smashed in, piles of rubbish in the sink, cupboards torn off and a ceiling that collapsed after a flood in the bathroom, which brought down the ceiling below, and the landlord believes this was deliberate. The female tenant had refused to leave the property for months even after the landlord had served notice and gone to court, and Parry claims he ended up losing more than £2,000 in unpaid rent, £1,500 in court fees and at least £6,000 of damage to the home. Parry decided he had to evict the tenant and her children in 2015 after she had fallen behind with rent. And despite the tenant signing a tenancy agreement which didn’t allow pets, a large dog, which the landlord claims had scratched several floors, and ‘petrified’ him when he went round. “The house was wrecked – it’s shocking. She had failed to sort the rent out despite numerous promises, so I gave her two months’ notice to quit. “I was then forced to serve two notices on her, which cost £200 each and she ignored. I had to get an order for possession in court, which I only got in the November. Parry said the experience has put him off taking on tenants reliant on benefits to pay rent, though he admitted it was unfair on most decent housing benefit tenants. 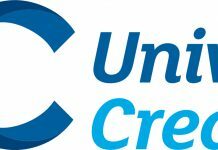 Mr Parry said that many other landlords were also turning their backs on this type of tenant, partly as the income is less reliable after welfare reforms put tenants in charge of managing their money. “Most people are good people, but you get a few rotten apples. I can see it causing problems for 99% of people who aren’t like that. Mr Parry noted that politicians had rightly started cracking down on bad landlords, but called for more action to protect good landlords from problem tenants. Previous articleMore than 4 tenants on a tenancy agreement? I can identify with Mr Parry, but my total costs for putting a trashed house in order, including repairs and replacements following a break-in during the vacancy, were over £27,000: this did include some accumulated necessary repairs, of which I was not informed . . for nine months she refused to give me her changed phone number. The tenant finally left over £6,000 in rent arrears and owing the Water Board over £2,000, and the Council a further amount in wrongly claimed benefits, absconding after I served notice, with no forwarding address. I did manage to trace her, but it was clear she had distributed her funds among adult children and legal action would produce nothing. She gave house keys to local men who helped her pack hired vans, telling them to ‘help themselves’ to anything left in the house, which included rooms full of often broken junk. She or they took the fitted oven, my property. Fortunately one of the local men did search for me through my brother living locally, and returned the key. 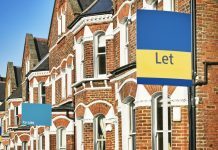 Is it any wonder that many landlords refuse to take ‘benefit tenants’? I think most landlords in this day and age have horror stories. I recently had a tenant totally wreck one of my properties and it took 2 years to put right. In the past I took a 2 months deposit, but now I take nothing. Most landlords would be shocked by this but if a tenant ruins a bathroom or steals a whole kitchen (as has happened to me in the past) 2 months rent really does not cover it. Instead I always insist regardless of whether they are working or are on benefits that they have a guarantor who is a home owner. If there are any problems I pursue the guarantor through the courts and in my experience the guarantor is normally a family member or good friend. The tenant normally does not want their family dragged through court, but if I have to, very occasionally, then the judge will attach any damages against their property and again no one wants that either. I have just repossed a house from a benifit tenant who was introduced and initialy guaranteed by the local housing options team. After a build up of rent arrears and trashing of my property, I obtained a possession order and booked the Bailiffs. The day before the Baillifs were to come, I had to attend the local Court as the Tenant had decided to appeal the original Court decision. The possession was originally granted on Section 8 ( more than 2 months rent arrears) and was granted on mandatory grounds, where the Judge has no discretion. The appeal was encouraged and financially suopported by the local Housing Officers and one of them endorsed the lies told by the Tenants to the Court. Althou the total Judgement for rent arrears & cost was for £ 10000, thre is no hope of recovering a penny! The damage to property is in the region of £ 25000 to 30000!I still have the property not yet modernised or put right. Only have superficially cleaned it if anyone is interested! I have put up the property for sale and several other properties as they are vacated will be sold off! Leaving me out of pocket of a total £25,000, as result of serious damage and filth, non payment of rent, furniture damaged and stolen, and oh yes legal fees and court fees, as had to employ solicitors with one case. I made no money, actually out of pocket. It pains me to even think about the number of dishonest tenants and letting agents out there. The law has swung tooo much on the side of the tenant and honest decent landlords are treated as if they are reeling in cash- NOT ! The tenants go into court lie and the judge accepts it, these scum tenants have made a business of conning landlords, and know all the tricks. The simple answer is don’t deal with benefit supported tenants. We did it for a number of years and experienced problems similar to the recounted above. We stopped taking benefit tenants and have had virtually no problems since that decision. From the stories above and my own experience I have found it vital to vet the tenants very thoroughly.. I implore all Landlords in the private sector to arise the bar on the checks that they carry out on the tenants. Do not rely on agents to act in your best interest. Insist on seeing documents that verify the tenants position both financially and working situations and check history. Many agents will look at you as if you have horns growing out of your head. But do not care insist on this check. You will find majority of problem tenants will simply shy away from such scrutiny. The genuine ones will produce the documents in a timely and orderly fashion. I have not gone wrong since I started insisting on raw data not simply relying on the agents computer says YES!